“Household debt has increased by 15 percentage points of GDP since end-2009 but growth has begun to moderate as of late (…). Close to 50 percent of the debt is owed on residential property and about 60 percent are variable rate loans. Macroprudential measures have helped to curb household borrowing (…). The impact of measures continues to be felt and the reduced loan applications and approvals reflect in part an enhanced framework for risk-based pricing of loans. Risks from high household debt are mitigated by strong household financial assets (…) and low unemployment. NPLs are likely to increase as the financial cycle turns but any increase is likely to be small. 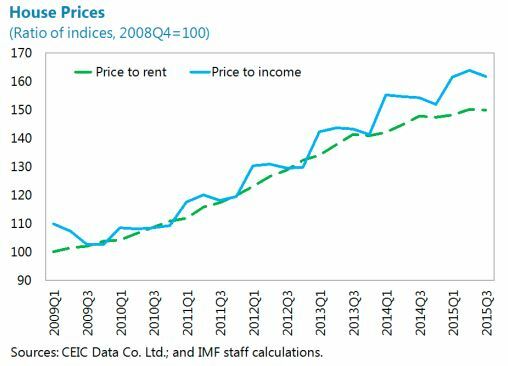 House prices are still growing but prices of highend properties in Kuala Lumpur have declined slightly. Given the slowdown in loan growth and in housing, no further measures are recommended. 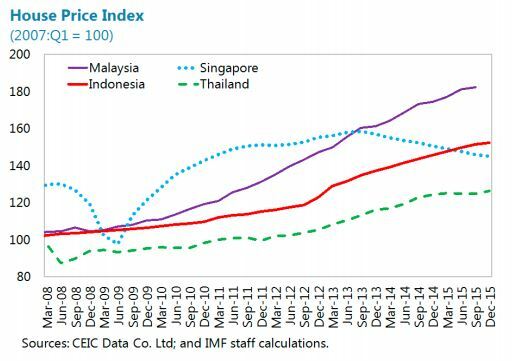 LTV caps on second and first mortgages should be considered if rapid house price and credit growth were to reignite”, according to the IMF’s latest report on Malaysia.